EA released the gameplay trailer for the Gulf of Oman level. This map will be included in the Battlefield 3 expansion pack: Back to Karkand, which is due out later this month. The trailer shows off some of the enhanced destruction, jet gameplay, and map layout. We also got teased with a new, unannounced vehicle for Battlefield 3: the forklift, which can be seen in the trailer below. Back to Karkand is set to be released next month, the Asian division of Sony’s Playstation website posts the release date on December 7th for PS3 players. PS3 users were granted one week of early access to all of Battlefield 3’s DLC, so PC and Xbox 360 players will have access to the Back to Karkand pack starting on the 14th. DICE/EA has yet to comment on the matter, but seeing as it’s an official Playstation website, the information on here should be very accurate. Gamespot UK got hands on with the Back to Karkand expansion pack which features new footage and commentary for all four of the maps. You can check out their opinions on this new Battlefield 3 DLC below. 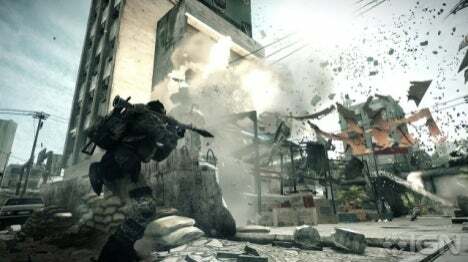 The Battlefield 3 beta date was announced yesterday and was an expected date (late September). September 29th is when the open beta starts and September 27th is when the closed beta starts. The closed beta is for those who pre-order Battlefield 3 through Origin or pre-ordered Medal of Honor. But there has been a lot of questions concerning many aspects of the beta. We’ve compiled verified facts on top of EA’s announcements to help you better understand the Battlefield 3 beta. So How Do I Gain Access To The Beta? If you pre-order Battlefield 3 on Origin or pre-order Medal of Honor then you will get access to the beta 48 hours prior to everyone else. If you’re on the PC download Origin and check the demo page (your early beta access code will be emailed to you). PS3 users can check the Playstation Network Store for the beta. Your code will also be emailed to you. Xbox 360 users will look in the Xbox Live Marketplace and will also receive their early access code via email. Users for all three platforms who do not qualify for the 48 hour bonus will have access to the beta in the described stores/pages on September 29th. Currently, only Swedish users have been emailed! No information on when other nations will start to receive their keys. What’s this Battlelog stuff I keep hearing? Battlelog is a free service operated by EA that allows you to not only track your stats, awards, and game progress, but also allows to you socialize with friends and plan your next Battlefield 3 match! EA’s Gun Club has revealed the veteran weapon for BF3. By joining the Gun Club, which is entirely free, you’ll get access to the M1911 Pistol in Battlefield 3 Multiplayer. The pistol will also be available to all registered Battlefield veterans.